The project will be open source, so you could make your own device from scratch if you want. 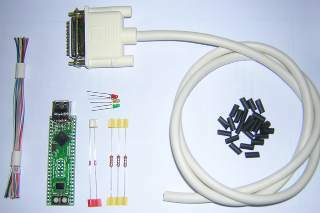 Nevertheless, this is a hard way, only surface mounted micro controllers are offering usb hosting, and this requires costly tools. I found a clean and cheap solution by selecting an Opendous design. 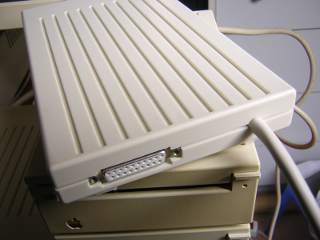 This allows me to offer three easier ways to get the device up and running, described here after. 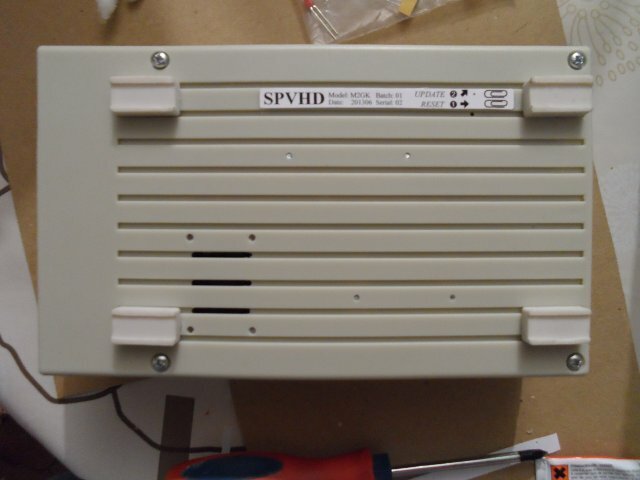 DIY package 1: if you want really to do your own custom installation. This includes only the board, tested, preloaded with the latest firmware, and the required diagrams to do the wiring yourself. DIY package 2: like the DIY package, but including the molded DB19 male connector and the daisy chain connector too. 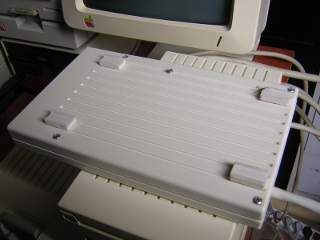 PNP package: ready to use with a custom molded enclosure matching the Apple II 3.5 floppy drive look. 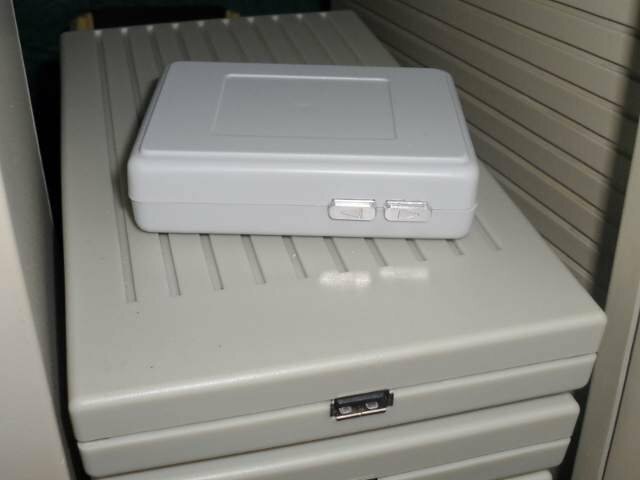 This is the device I wanted long time ago, when I decided to leave my Apple //c because it was unusable without such a mass storage. The photos look great, nevertheless keep in mind that the production is home made, and despite all my attention, the final aspect is not perfect at close look.